Real music for the reality of our lives. This album runs a varied path of emotions; reflective, fun, uplifting - you just can’t get enough! Real music for the reality of our lives. This album runs a full range of emotions; reflective, spirited fun, uplifting - you just can’t get enough! 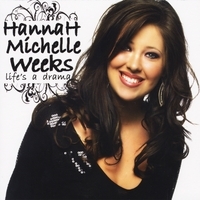 Hannah Michelle is a prolific songwriter at the age of 16, writing on four of the seven tracks.